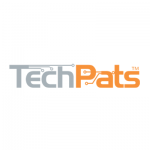 At TechPats (“TechPats” or “We”) we respect your data security and privacy and are committed to protecting you through our compliance with this policy. This policy describes the types of information we may collect from you or that you may provide when you visit the TechPats website at techpats.com including all related webpages (the “Site”) and our practices for collecting, using, maintaining, protecting and disclosing that information. If you do not provide Personal Information when requested by TechPats, you may not be able to utilize the Site if that information is necessary for us to provide you with services or if we are legally required to collect it. We may collect Personal Information from you when you register on our site, connect your social media accounts to TechPats, communicate with TechPats, subscribe to our newsletter, respond to a survey, fill out a form, connect your website or blog, or otherwise when you directly provide it to us. We also may collect information automatically as you navigate through the site. Information collected automatically may include usage details, IP addresses and information collected through cookies and other tracking technologies. In respect of the personal information you give us when you use the Site or subscribe to our, we are the “data controller” responsible for that information. We will collect the information that you give us on the subscription form when you subscribe our newsletter, in any transactions on the Site, in any completed surveys you submit to TechPats or in any correspondence with us, including your name and contact information, and we will use that information to give you access to TechPats website content, and to communicate with you about your use of the site, for example to let you know about any updates or changes to the Site. We may also use this information to send you marketing communications about products or services provided by us. provide you with notices about your subscription, including expiration and renewal notices. We may also use the Personal Information we obtain in any other way we may describe when you provide the information and for any other purpose with your consent. Our legal basis for collecting and use of this information is that it is in our legitimate interest to use your personal information in such a way to ensure that we provide the very best client service we can to you or others. We will only send you marketing communications where you have consented to receive such marketing communications, or where we have a lawful right to do so. We engage certain trusted third parties to perform functions and provide services to us, including hosting and maintenance, error monitoring, debugging, performance monitoring, customer relationship, database storage and management, and direct marketing campaigns. We may share your Personal Information with these third parties, but only to the extent necessary to perform these functions and provide such services. We also require these third parties to maintain the privacy and security of the Personal Information they process on our behalf. TechPats cooperates with government and law enforcement officials or private parties to enforce and comply with the law. To the extent permitted under applicable law, we may disclose any information about you to government or law enforcement officials or private parties as we believe is necessary or appropriate to investigate, respond to, and defend against claims, for legal process (including subpoenas), to protect the property and rights of TechPats or a third party, to protect TechPats against liability, for the safety of the public or any person, to prevent or stop any illegal, unethical, fraudulent, abusive, or legally actionable activity, to protect the security or integrity of the Site and any equipment used to make the Site available, or to comply with the law. We are committed to keeping the personal information provided to us secure and we have implemented appropriate information security policies, rules and technical measures to protect the personal information that we have under our control from unauthorized access, improper use or disclosure, unauthorized modification and unlawful destruction or accidental loss. In the event of a transaction, we will offer the use of a secure server, typically through a well-known third-party payment provider. Due to the nature of the Internet and online communications, however, we cannot guarantee that any information transmitted online will remain confidential. We are not liable for the illegal acts of third parties such as criminal hackers. Like many websites, we may use “cookie” technology to collect additional website usage data and to improve the Site and our Service. A cookie is a small data file that we transfer to your computer’s hard disk. A session cookie enables certain features of the Site and our service and is deleted from your computer when you disconnect from or leave the Site. A persistent cookie remains after you close your browser and may be used by your browser on subsequent visits to the Site. Persistent cookies can be removed by following your web browser help file directions. Most Internet browsers automatically accept cookies. We may use both session cookies and persistent cookies to better understand how you interact with the Site and our Service, to monitor aggregate usage by our users and web traffic routing on the Site, and to improve the Site and our Service. We may also automatically record certain information from your device by using various types of technology, including “clear gifs” or “web beacons.” This automatically collected information may include your IP address or other device address or ID, web browser and/or device type, the web pages or sites that you visit just before or just after you use the Site, the pages or other content you view or otherwise interact with on the Site, and the dates and times that you visit, access, or use the Site. We also may use these technologies to collect information regarding your interaction with email messages, such as whether you opened, clicked on, or forwarded a message, to the extent permitted under applicable law. The Site is not directed to persons under 18. If a parent or guardian becomes aware that his or her child has provided us with Personal Information without their consent, he or she should contact us at info@techpats.com. We do not knowingly collect Personal Information from children under 18. If we become aware that a child under 18 has provided us with Personal Information, we will delete such information from our files. If you decide at any time that you no longer wish to receive such marketing communications from us, please follow the unsubscribe instructions provided in any of the communications. To update your preferences, ask us to remove your information from our mailing lists, delete your information or submit a request to exercise your rights under applicable law, please contact us as specified in the “Contact Us” section below. Our Site and Service contain may contain links to other websites. The fact that we link to a website is not an endorsement, authorization or representation of our affiliation with that third party. We do not exercise control over third party websites. These other websites may place their own cookies or other files on your computer, collect data or solicit Personal Information from you. Other sites follow different rules regarding the use or disclosure of the Personal Information you submit to them. We are not responsible for the content, privacy and security practices, and policies of third-party sites or services to which links or access are provided through the Site. We encourage you to read the privacy policies or statements of the other websites you visit. The materials in the Site and the TechPats newsletter are provided for informational purposes only, and do not constitute legal or financial advice. The information expressed is subject to change at any time and should be checked for completeness, accuracy and current applicability. For advice, consult a suitably licensed attorney or patent agent.